The Online Videos are all about education of the Icelandic Horse and The Rider. These videos will support you on your personal journey to become a better horseman and rider. They are not meant as a substitute to working with a trainer in real life. These videos are for online viewing only through the internet, available to view as often as you like through this homepage. The videos are not available in DVD format. 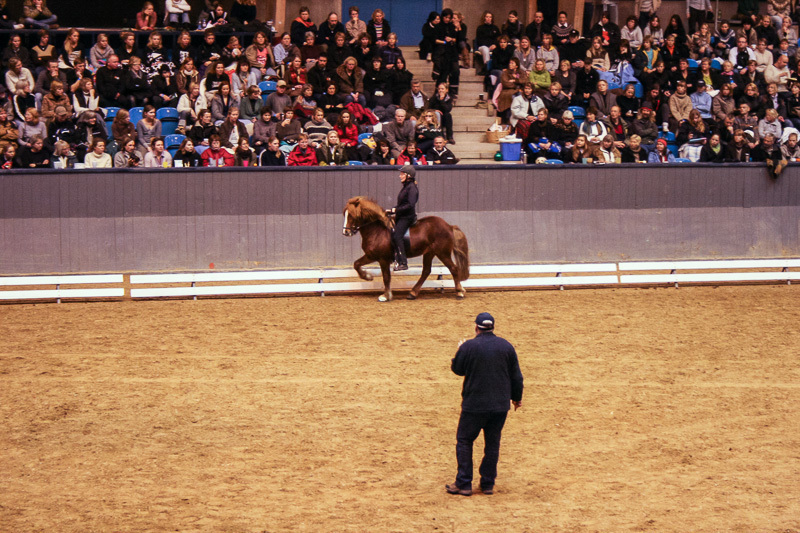 Next to having lessons ourselves, the best way to learn is to watch - whether that's top riders working their horses, or watching others having lessons. You can do this by watching Eyjòlfur's online video films. Eyjólfur offer you the opportunity to gain an inside into his daily working routines and his way of educating The Icelandic Horse and Rider. The online videos range from basic to advanced, and from theoretical and technical discussions to exercises on the ground and while riding. These videos will show you different levels of education. You can accompany a youngster starting working from the ground as well as watching different levels of gait training and schooled horses working with shoulder- in or traver in the tölt. The preparation and training of tölt is at the centre of all Eyjólfur's teaching. All videos have the theme of striving to achieve stronger partnerships, healthy bio-mechanics and creating harmony in mind and motion. Videos may be of Eyjólfur teaching a student , playing with a student's horse, or one of his own horses either at home, or at clinics or courses. The video's content is edited by Eyjólfur personally. Important concepts are highlighted, and key moments are often replayed, using slow motion and freeze frames to illustrate a point. Three great educational films about education of the Icelandic Horse and the rider by Master Trainer Eyjólfur Ísólfsson. More information about the films: Click here.